While track and motorcycle racing tend to be the most popular among fans, offroad racing has gained a huge following of its own over the years, and is almost as old as most other types of racing that we know and love. Offroad racing tends to be much tougher, and more dangerous than most of the others that you would come across on the track, and because of this, it makes sense that racers would want the best vehicles available. Most of the cars and trucks that enter well-known races like the Dakar tend to be highly modified, where teams spend months improving their vehicle so it can carry on pushing through everything that the wildness has to throw at it. Before the modifications begin, though, every team will need to start off with a base car, and this is where the choice comes in, similar in some ways to Aussie dollar bingo. There are a lot of good offroad cars in the world, and each one has different advantages and disadvantages. Here we will look at the top 5 best offroad cars for those that want to attempt the sport. Ram has made quite a name for itself in the driving world, having produced some of the most iconic trucks on the road today. Many of the single and double cabs that Ram has created over the years have seen track time in some big offroad events, but their latest iteration of the Power Wagon is the best yet. While it might not have the bells and whistles of some others, the Power Wagon makes an extremely competent truck to start with thanks to its formidable 4×4 system. One of the most revered offroaders of the last few decades, the Land Cruiser has seen massive popularity around the world. The latest Land Cruiser is a testament to Toyota’s innovation, and comes packing with a 5.7 litre V-8 and state-of-the-art Kinetic Dynamic Suspension for all terrain types. With its old-school military design, robust 4×4 system, and lightweight, the Wrangler has been a staple for offroaders since the end of World War 2. The Rubicon Hard Rock Edition is the best that Jeep has to offer, making it an overall good choice for most types of terrain, as well as providing enough comfort to use as an every day car. 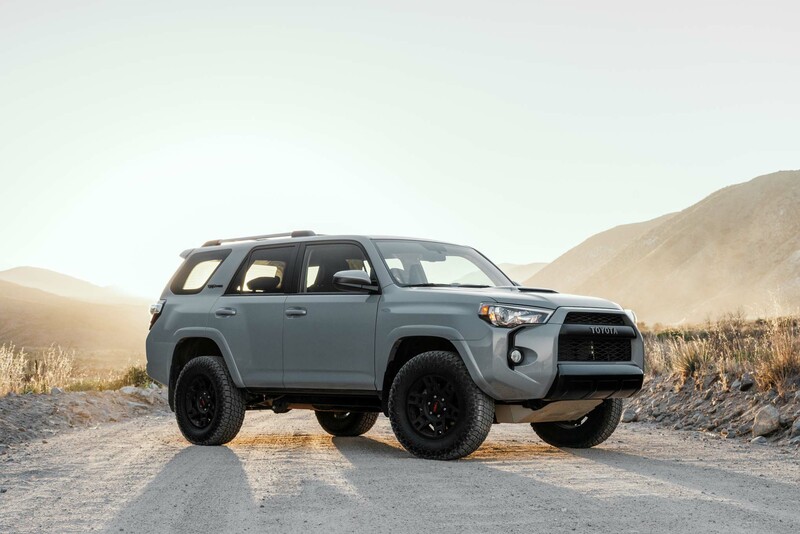 Toyota has a passion for creating all-terrain vehicles, and at the very top of their list is the 4Runner, an SUV that takes a lot of inspiration from the Land Cruiser. The TRD Pro option is available, which adds plenty of new features to the car, including making it ready for tundra terrain. The undisputed king of offroad right now, the Colorado is everything anyone could ever need for racing off the grid. It comes as a standard mid-size truck, but makes it different is the number of different editions available, for different kinds of offroading. We’re likely to see the Colorado as a popular choice in future races.